I love time travel. It’s one of those things that just fascinates me. This novel is not about time travel. It’s about a different kind of travel – dimensional travel. It’s a new concept to me but one that has my brain cogs clicking away happily! You can only travel to another dimension if the same genetic version of you exists there, and if you travel you wake up in that version’s body. Which one of you controls the body is another matter entirely! The cover art is beautiful and full of colour, appropriately representing the protagonist. It was what drew me to the book to start with. Meg is an artist. The only one in a family of genius scientists. Yet she has somehow become the one using her parents technology – the firebird – to seek her father’s killer in any dimension she has to. – There are characters who can figure out technology in any dimensions within minutes. I’m pretty savvy with computers and such but I don’t think I’d figure out stuff nearly as fast. They are meant to be crazy science people though so maybe I’m being overly fussy. – Meg being a ‘chosen one’ character was getting on my nerves for the first part of the novel – lots of hints that she has some special skill unlike others. I kind of liked what that ended up being about though – without spoiling anything I can just say it wasn’t as completely cliché as I’d expected! I listened to the audiobook – narrated by Tavia Gilbert – and loved it. She does a huge array of voices to show the different ‘bodies’ that are in each dimension and while some of her accents come off a bit staged, it’s still great work from her. Has anyone else read this series? I am on a waiting list for book two from my library and can’t wait! This is Shyness is an unusual and quirky read. But for a book to be different isn’t necessarily a bad thing in the world of young adult fiction.Usually I have a lot to say about the novels I read but this one I am struggling with what to tell you. It wasn’t at all what I expected and kind of threw me because the story world is quite hard to figure out. But the characters are interesting and relevant and the growing relationship between Wolfboy and Wildgirl was something I was interested in hearing more about! Basically, the first thing you need to know is that ‘Shyness’ is a place. In Shyness, the sun has stopped shining and it is always night. I still haven’t figured out exactly what country or city Shyness is in and there is very little to indicate anything beyond a modern urban environment. There are all sorts of weird things that happen there, including people who are obsessed with dreaming, gangs of kids who are addicted to sugar, crazy creatures, and of course there is Wolfboy, or Jethro, who lives there. He’s…wolfy? Like, howling and hairy. Unlike Wolfboy, Wildgirl is not an inhabitant of Shyness. She ends up there one night at the local bar ‘The Diabetic’ and there she meets our Wolfboy. She’s a cool character and very down to earth, if a little annoying. I think she’d appeal to a lot of young readers. She’s into fashion and she’s courageous and stubborn and overall pretty normal. The story world is interesting and intriguing but there isn’t enough information given about it to make it relevant to the plot. I assume that as the series continues that the cause of the eternal darkness of Shyness will become clear – but so far it’s only purpose seems to be as a kind of urban gothic backdrop for a really long night of activities and adventure for our protagonists. I felt that the ending was too open and didn’t give the closure I expected. It could have done it in more of a cliffhanger way to lead into the next book, but instead it just lost impact and was vague. Overall though, I’m still willing to read the next book and see what happens next. It’s a 2/3 from me! Which is a shame because This is Shyness has won a bunch of literary awards. Still, looking at reviews on goodreads it’s clear that either people were confused by it or thought it was awesome. I think I fall closer to the confusion category! But I can still see how it would really resonate with some readers too. Alina and Mal are orphans who grew up together in a fantasy version of Russia. This culture and setting are an interesting starting point for a dark story where the people are ruled by aristocracy, and live in fear of the Grisha. We have a Cinderella girl who goes from rags to riches, but instead of a smitten prince taking her to the palace, it is her power. 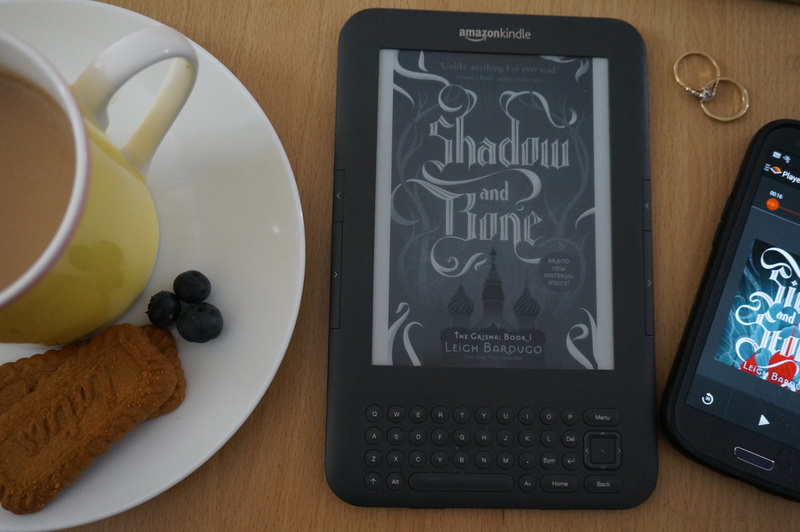 Alina and Mal are both tested for Grisha powers as children but Alina manages to hide her power so deeply that she is even herself unaware of it. As a character she’s frustrating and annoying but she does improve as she grows into her powers more and more. You can see her potential as a force to be reckoned with. 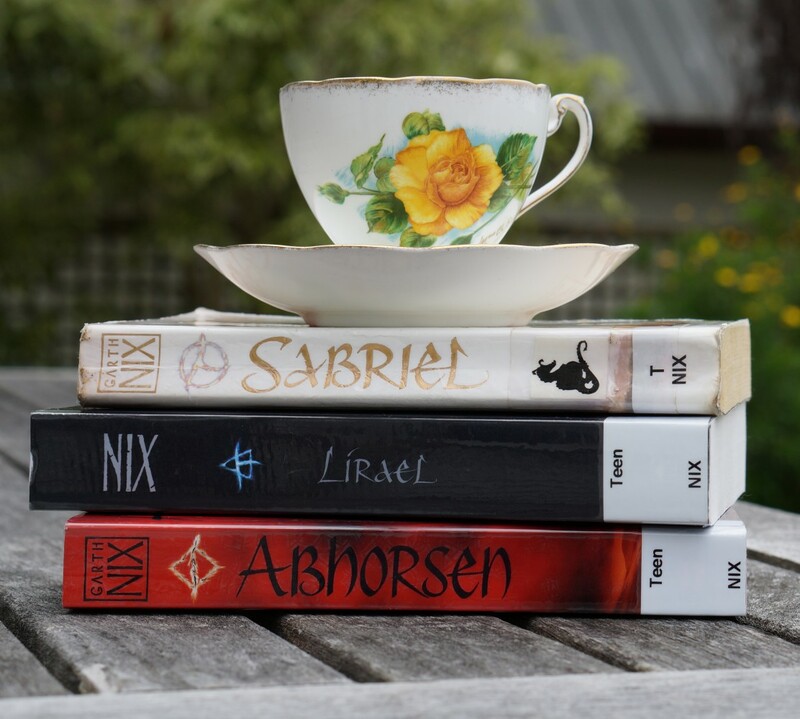 Lirael is the sequel to Sabriel and is set in the same story world of the Old Kingdom. You could quite happily read it without reading the first book, but you would have less insight into the overall fantasy world context. Next to Sabriel I think this is my favourite of Nix’s books in this series, and Lirael is the character that I think about most. Lirael is one of the Clayr, a special line of people who are gifted with the ability to see the future, or glimpses of it known as the sight. Your first vision marks your progression into adulthood, and Lirael is long overdue for hers and is painfully aware of it.